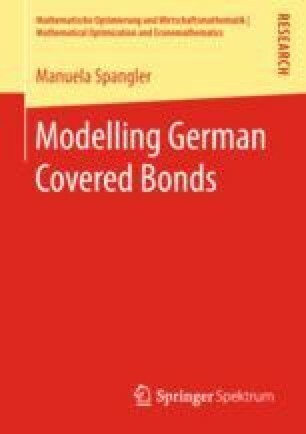 A Pfandbrief is a covered bond issued under German Pfandbrief legislation. The main feature of covered bonds is their dual protection mechanism with full recourse to the issuer and, in case of issuer insolvency, a preferential claim on a dedicated set of assets, the cover pool. Covered bonds provide the issuer with cost-efficient long-term funding, mostly for mortgage and public-sector loans.